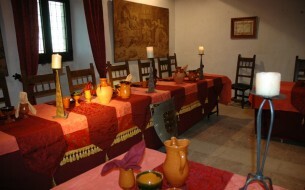 * Country Breakfast in "La Botiga"
- Route of two days for groups of 4 to 17 people. This route can be done by privat car or minibus. 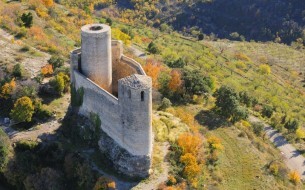 The first day will visit a Sanctuary which is a Baroque religious reference of the seventeenth and eighteenth centuries; the Royal Poblet Monastery, Montblanc walls and the Montsonís Castle which is the headquarter of the Cultural Castles Foundation of Catalonia and the dwelling of the Albi Barons. 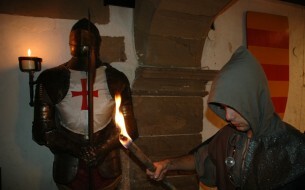 Accommodation in the same medieval town and visit two wineries the next day.